We have many committees covering different aspects of Oceana. Share your skills and experience, make new friends, and discover how much fun it is to be one of the many dedicated volunteers who keep this community thriving. If you want to get involved and help to make it even better, volunteer for a committee! 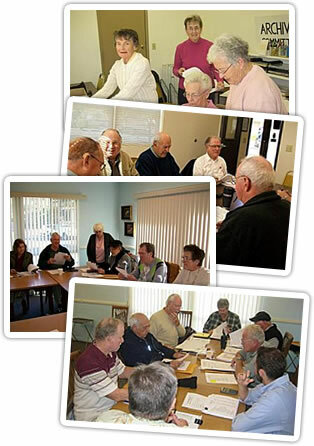 Each one of our committees relies on volunteers to carry out its important work. There must be at least one that fits your interests! Our committees run the gamut from Architectural to Safety to Website. Click on the committee of your choice below for a description of what they do, then contact the committee chair. A fresh flow of members is always important because it brings new enthusiasm and ideas relevant to today’s interests. And there’s no better way to get to know how this community operates and to make new friends. Select the committee from the list below that you are interested in or just want to know about what they do.